Florida manatee, Trichechus manatus latirostris, a subspecies of the West Indian manatee, endangered. 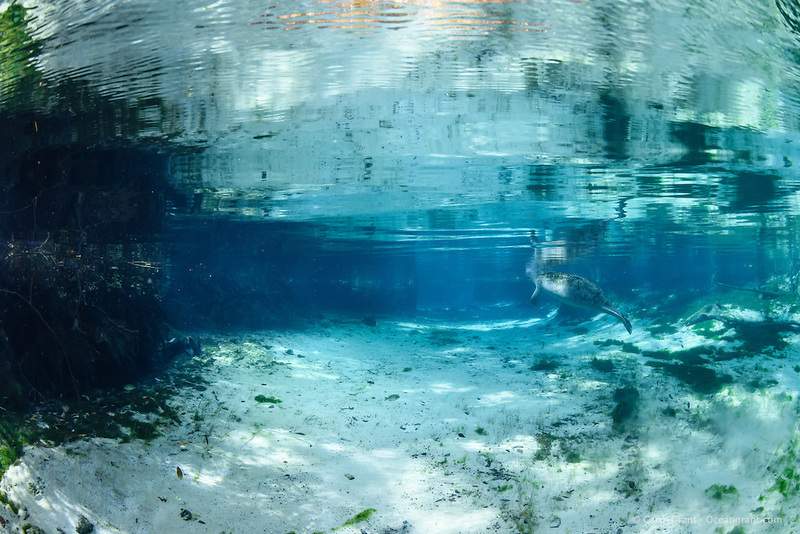 A young female manatee leisurely exits Three Sisters Springs in early October before many manatee gather at this warm water wintering site. This manatee was feeding back in the springs on the early-season grasses and vegetation. Horizontal orientation with beautiful blue spring water, reflection and cypress tree roots. Three Sisters Springs, Crystal River National Wildlife Refuge, Kings Bay, Crystal River, Citrus County, Florida USA.